Introducing the Crazy Modern Quilt! Home » Patterns » Introducing the Crazy Modern Quilt! 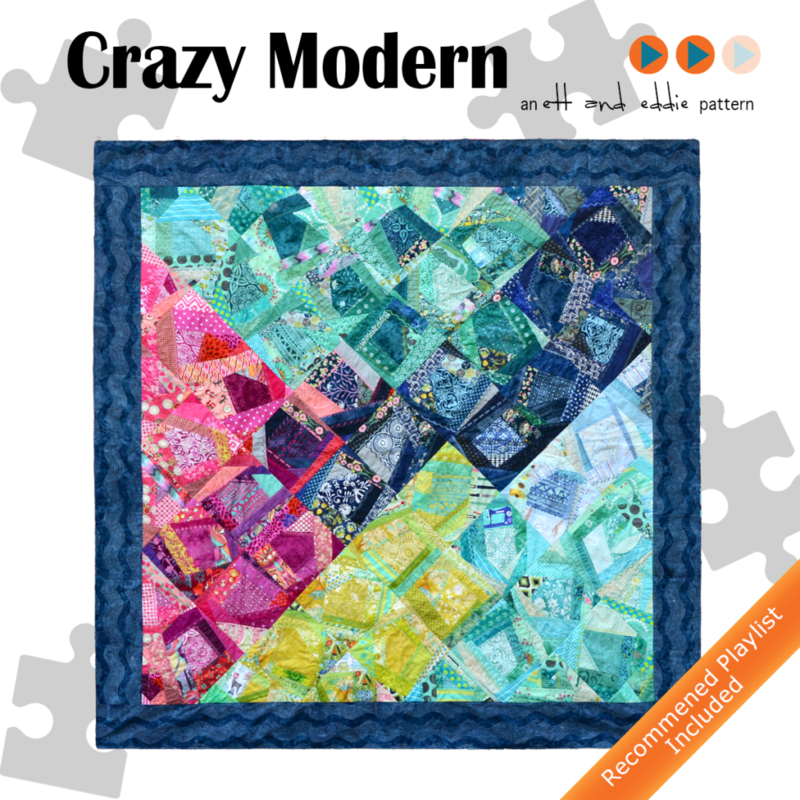 We are pleased to introduce our newest pattern, Crazy Modern! 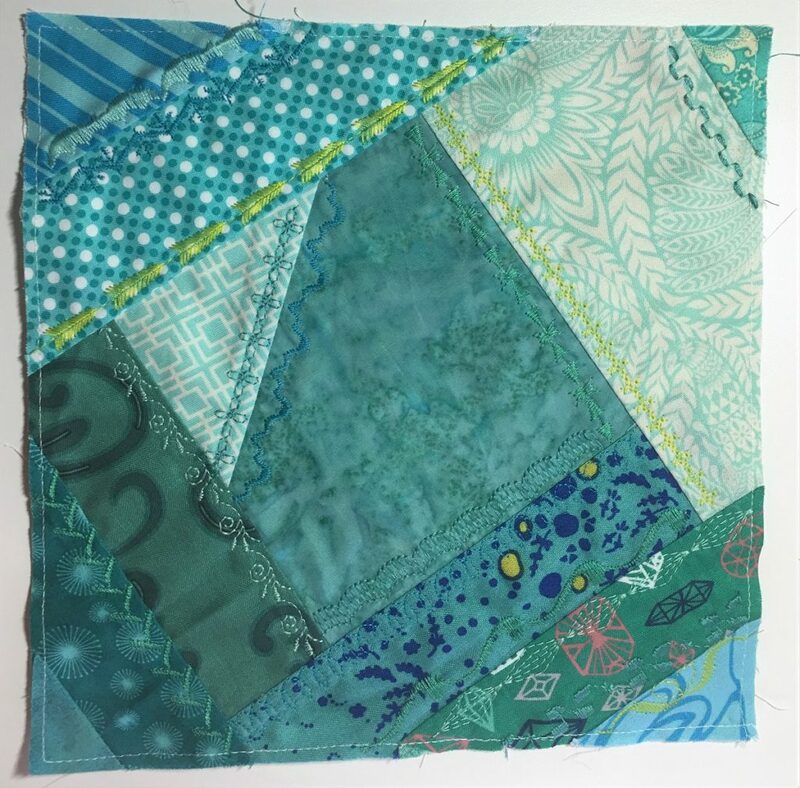 This fun quilt starts with your favorite 5″ precut assortment, aka a charm pack, and makes a number of crazy quilt blocks with coordinating scraps from your stash. Lynn designed this quilt, so it uses A LOT of buttons on the sewing machine. This is your chance to use all those decorative stitches on your sewing machine, and as many different thread colors as you want! Here is a close up of one of the blocks to see basic construction, thread choice, and stitch patterns. In the pattern, you’ll get guidance on color theory, scrap selection, and making design choices for thread and stitch placement. It’s one of our more educational patterns, so check out the digital pattern on our store for all the materials you’ll need!